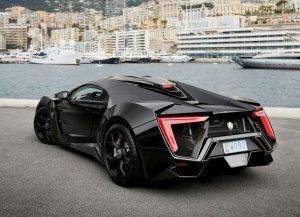 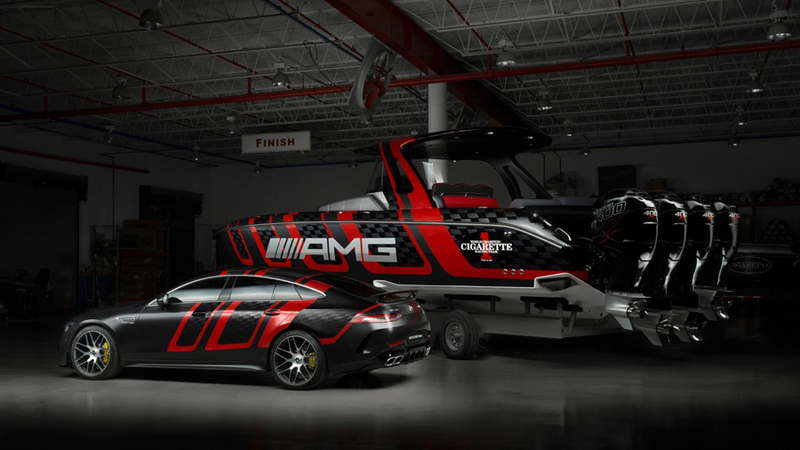 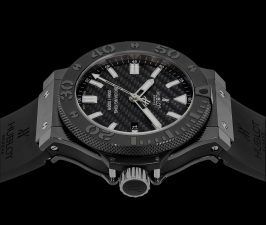 While its name, 41′ AMG Carbon Edition, might suggest another AMG supercar from Mercedes, this is actually a special edition speedboat, the result of a new collaboration between Mercedes-AMG and Cigarette Racing, inspired by the superb Mercedes-AMG GT 63 S 4 door Coupe. 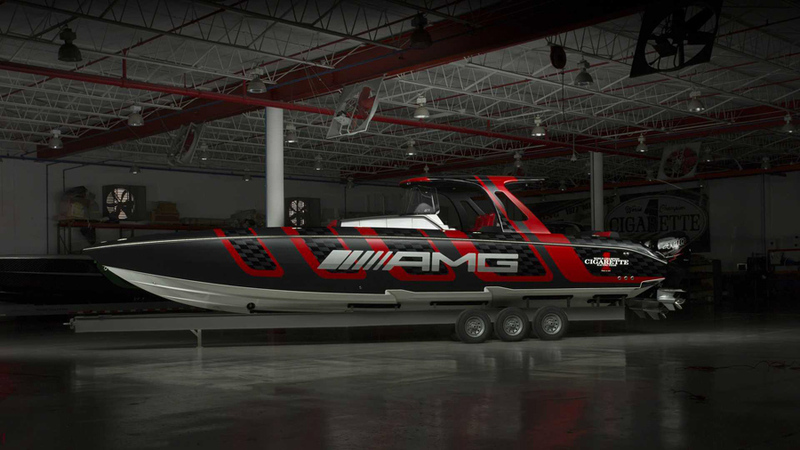 It was recently revealed at the Miami International Boat Show and today we get to see it in all its glory. 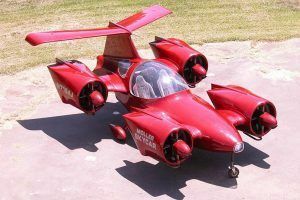 Beyond the stirring paint scheme, these two vehicles are similar to each other in the lightweight structure they both use, with numerous carbon fiber components and a low center of gravity for good handling and stability during high speed maneuvers. 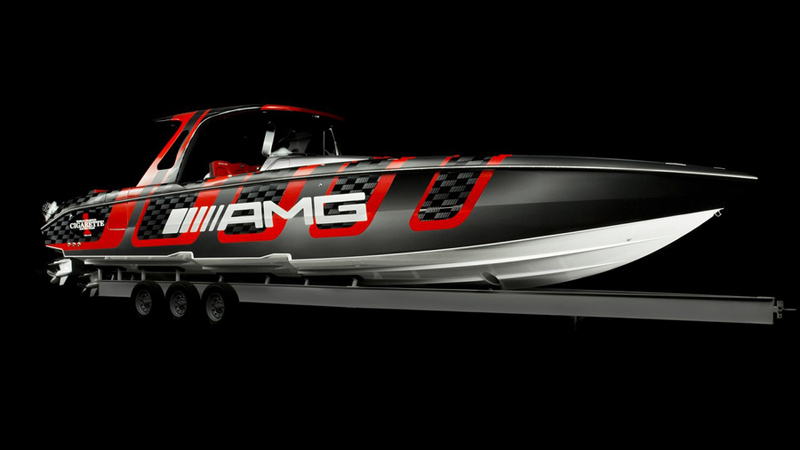 Compared to Cigarette Racing’s previous speedboat, the AMG Carbon Edition weighs 250 kg less, which is quite a feat. 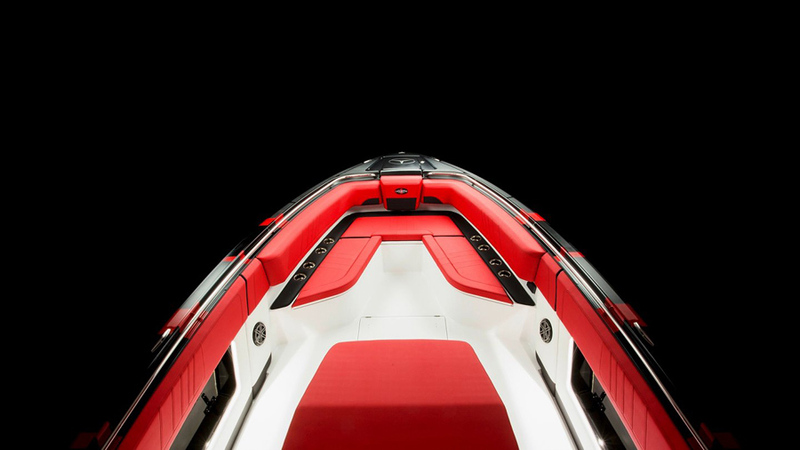 The 41-feet long boat uses a sandwich construction with carbon fiber structural laminates on both sides of the lightweight core. 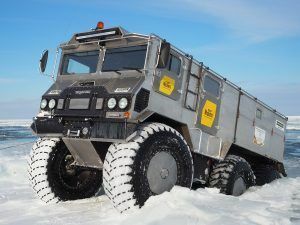 The core is rigid and has a reduced weight. 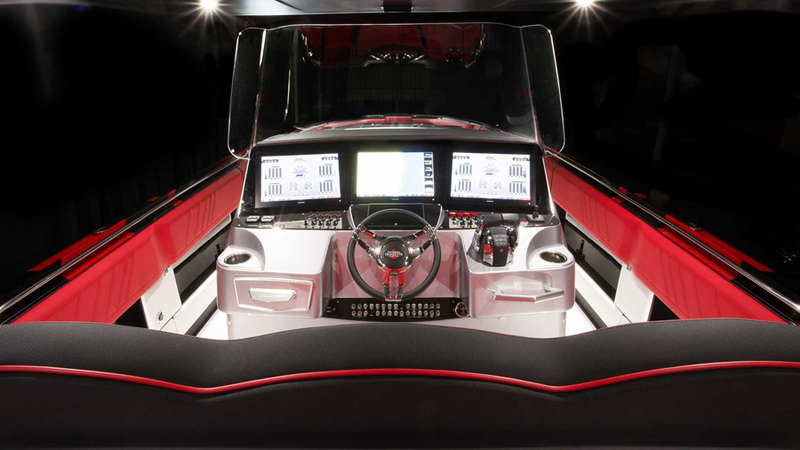 The deck, rudder, roof lining and hardtop of the boat also have carbon fiber in their structure. 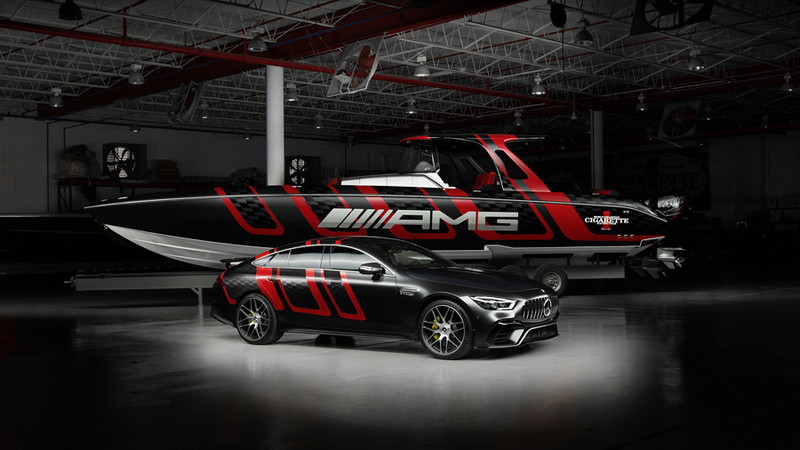 The AMG Carbon Edition is powered by four AMG GT 63 S V8 Mercury Racing 400R outboard engines that output a total of 1,578 hp (1,600 PS), pushing the boat to a breathtaking top speed of 88 mph (142 km/h), an extraordinary accomplishment for a boat this size. 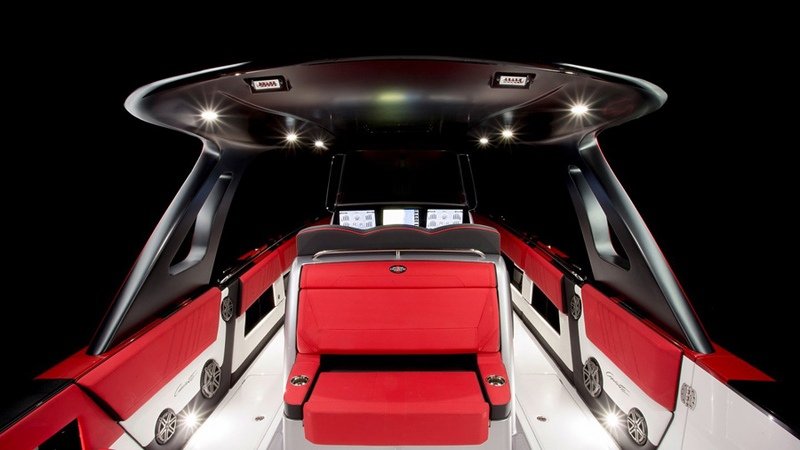 At cruising speeds, the boat can easily accommodate up to 20 passengers. 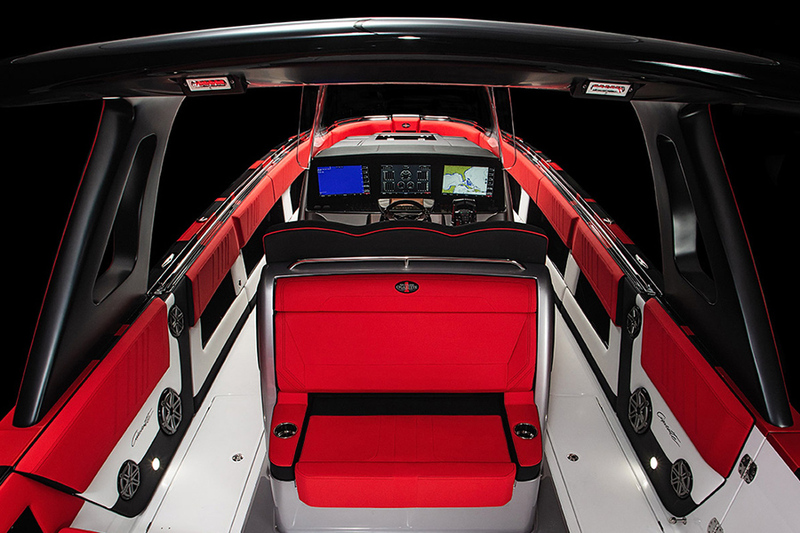 The hull is painted in a stunning designo graphite grey magno paint with bright red accents, the same color that was developed specifically for the GT 4 door Coupe. 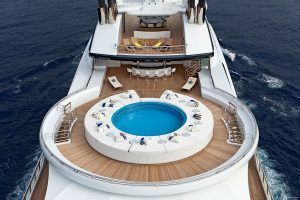 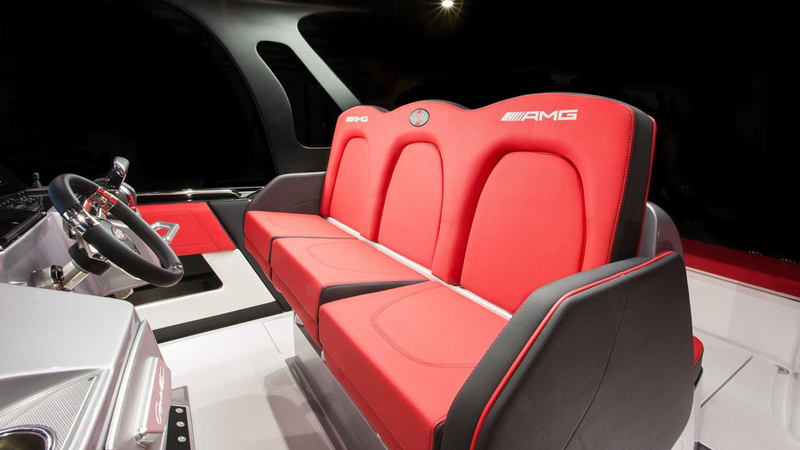 The interior of the boat also comes with the same Mercedes-AMG features, with tailored seat upholstery and exclusive seam patterns. 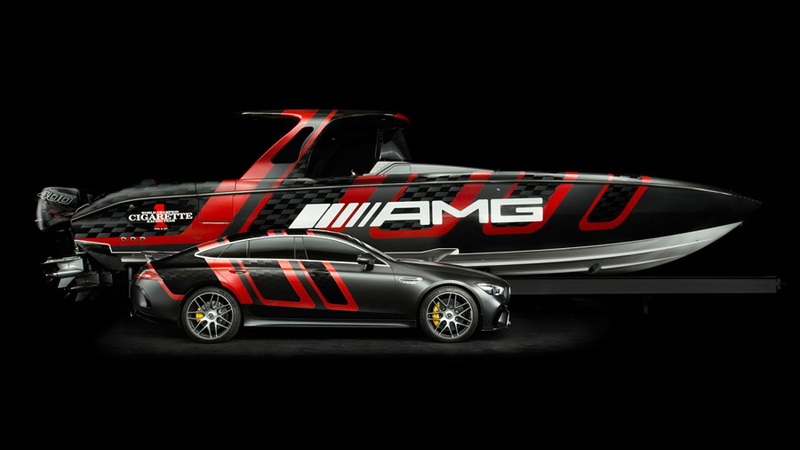 And don’t forget to check Mercedes-AMG Marauder Boat and Electric Speedboat by Mercedes-Benz AMG + Cigarette Racing.